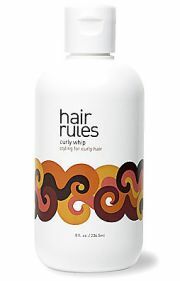 I have a tip for you if you want to know the secret of how to enhance the beauty of your natural curls: it is called Curly Whip from Hair Rules. It helps style your frizzy and unruly hair and define your beautiful natural curls. So, next time you will be thinking if you really need to use that hair straightener or go for a more natural look. Compare and research hair products.